A few months ago, I took a week-long vacation to Mexico where my locs were exposed to the ocean water and chlorinated pool water for an extended period of time. My experience swimming with locs while on vacation was filled with a lot of harsh lessons, but I believe I went through them so that you don’t have to. From my vacation, I learned the 5 must have items to bring on a tropical vacation if you are going swimming with locs. 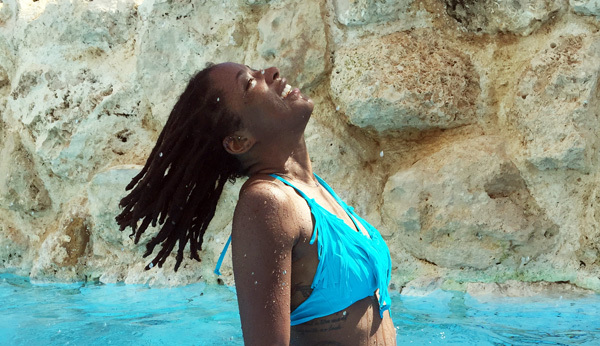 These are the 5 essential items you should have in your suitcase when you go on a tropical vacation to protect your locs, prevent mildew, and keep your hair hydrated. 1. Shampoo. Ideally, you will need two types of shampoo, a clarifying shampoo and a pH balancing shampoo. If you only want to pack one, I highly suggest the clarifying shampoo. A clarifying shampoo will remove any mineral deposits from hard water and also remove any traces of chlorine. A pH balancing shampoo will help to restore the natural pH of your hair and is essential to preventing dryness and damage to the hair, especially if it is colored. For me, it was very difficult, damn near impossible, to get my hair completely clean without a clarifying shampoo on my vacation because the shower water itself wasn’t clear and it was very hard. Hard water will cause your locs to feel very dry and brittle because all of the mineral deposits are attaching to the protein in your hair and building up in your locs. 2. Scarf. You need to a satin scarf on your head every night while on vacation. 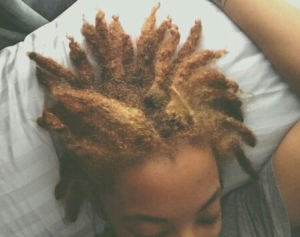 Not wearing a scarf to bed is one of the quickest ways to get dry locs. 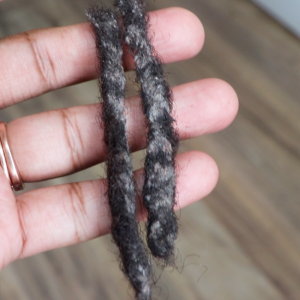 Dry locs and chlorine make every brittle locs, and brittle locs will begin to thin and break-off. Alternatively, you can bring a satin pillow case. The key here is to retain as much moisture overnight as possible. 3. Essential Oils. 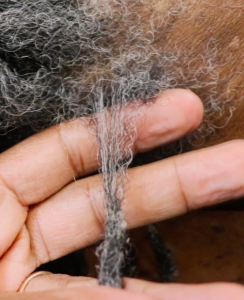 The last thing you want is mildew or mold in your locs (yes, that can happen). Having a herbal rinse or ready-made essential oil mixture with antibacterial oils will help prevent your locs from having a stench. 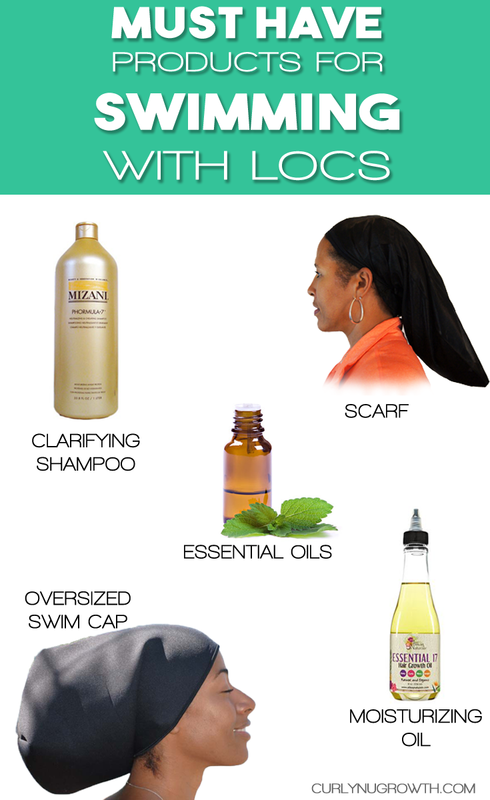 This is especially important if you plan to let your locs air dry after you shampoo your locs. 4. Swim Cap. You don’t want to shampoo your locs every single time you go swimming, but you also don’t want to leave chlorine in your hair for an extended period of time.What I didn’t take into consideration was that I’d probably be swimming every single day, which means I needed a swim cap. 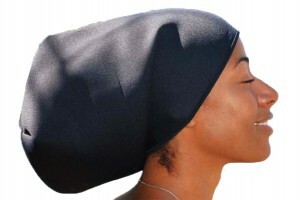 A swim cap would have ensured that my locs remained dry and that I didn’t have to shampoo my locs after each swimming session. 5. Nourishing Oil. With all of the constant swimming and shampooing, you definitely want to have oils that help to condition and retain the moisture in your locs. Having oils that are light-weight, water soluble, and that easily penetrate the hair shaft are best. I understand how adding five hair care products to your luggage on top of all your fly outfits with the airline weight limitations & baggage fees but these things are really important. Out of the 5 must have items to pack on vacation for locs, I only brought three with me and my hair paid the price for it. To save space in your suitcase, opt for the travel size versions of the shampoos and oils or buy a few clear bottles and take only what you need with you. The biggest lesson I learned while vacationing with locs is that you cannot expect the same optimal conditions abroad, but you can come close if you are well prepared with the proper shampoos, hair care products, and accessories. What hair care products are you packing on your next vacation?